Gross refined his estimates of the Japan quake's impact - which previously suggested a 1.6-microsecond shortening of the day - based on new data on how much the fault that triggered the earthquake slipped to redistribute the planet's mass. A microsecond is a millionth of a second. "This shift in the position of the figure axis will cause the Earth to wobble a bit differently as it rotates, but will not cause a shift of the Earth's axis in space - only external forces like the gravitational attraction of the sun, moon, and planets can do that," Gross said. 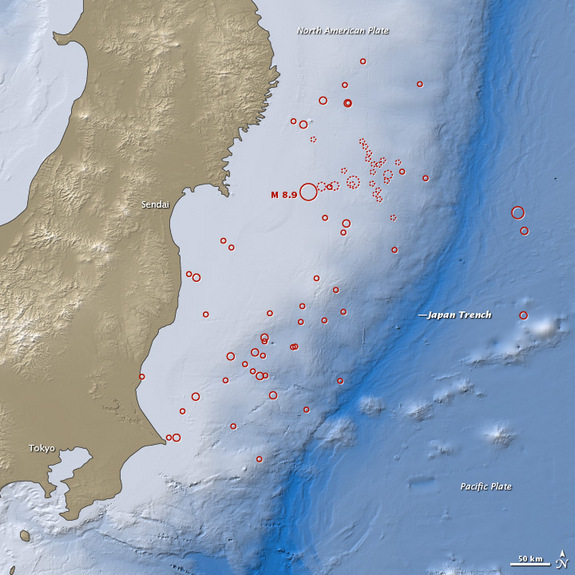 FAQ: What's the Science Behind Japan's Quake and Tsunami?